LTE: Internal, 2x2 MIMO. Supports up to 32 WiFi users. LED lights: signal, WiFi, SMS, battery. - 300 hours in standby mode when WIFI. - UMTS Band B1, 3, 8 (2100/1800 / 900 MHz). Safety Information. Is on - Power Bank function for charging other devices. All the physical connections are protected by a hinged cover when not in use. The E5770 exhibits Auto-APN functionality, so all you need to do is pop-off the rear cover, insert the SIM card from your preferred network. 4G LTE connectivity is now ready to go anywhere. Share 4G LTE with 10 WiFi enabled devices one tethered. Unsure if locked - previously used on O2. WiFi Technology. Connect up to 10 WiFi enabled devices. For more information about compatibility with your LTE network you may refer to this website Huawei B593u-12. -AC ADAPTER WITH EU Plug (OEM WHITE ZTE 2A). WiFi support up to 32 wireless devices. SETTINGS ACCESS . 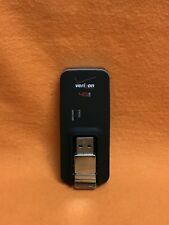 ZTE MF823 4G DONGLE. Fully tested and working. Sim card not included. Product Model MR1100. Combining ultrafast download speeds, support for Cat. Manufacturer Netgear, Inc. Product Line Nighthawk M1. Wireless LAN Standard IEEE 802.11ac. Number of SIM Card Supported 1. SIM Size Supported Micro. Creates WiFi hostpot using superfast CAT 7 4G LTE. 1 ~ UNLOCKED (. How it Works –. Bonfire will ). You are viewing a Alcatel MW40V Link Zone Mobile Internet 150Mbps WiFi Hotspot 4G LTE UNLOCKED which is fully functional. It is used and has marks and scratches all over from regular usage. No accessories or charger come with it. GSM Unlocked for any GSM Network Worldwide. 4G LTE/DC HSPA /HSPA /HSPA/UMTS/GPRS/EDGE. 4G LTE/AWS 700. AC Adapter . Key Features Wi-Fi 802.11 b/g/n. GPRS/EDGE 850/900/1800/1900. DC HSPA /HSPA /HSPA/UMTS 850/1900/2100. 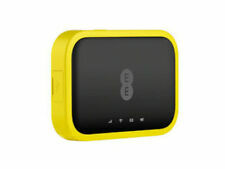 EE 4GEE LTE OSPREY MINI MiFi AlCATEL WIFI MOBILE HOTSPOT . Dispatched with Royal Mail 2nd Class. Lenovo Thinkpad Sierra Wireless EM7455 (Qualcomm Snapdragon X7 LTE-A). Model: EM7455. FRU: 01AX746 / 01AX748. supports the latest 4G and 3G networks. ZTE UNLOCKED MF823 4G LTE USB MODEM (BLACK) - LIKE NEW WITH 2 x ETERNAL ANTENNA PORTS 4G/LTE USB Mobile Broadband USB Modem - 100mbps!!! ​ ITEMS ARE FULLY TESTED & IN LIKE NEW CONDITION - WITH A FEW HARD TO NOTICE BLEMISHES TO OUT CASING (SEE PICS) ​ Contents: 1 x Unlocked ZTE MF823 4G USB Modem Boxed - As New 1 x Quick Start Guide This the world's fastest ZTE USB Modem which has just been released The modems are Genuine Unlocked ZTE devices from a UK Seller - They will work with any sim card in the world This means you can upgrade to any future software version & the modem will always remain Unlocked You can also use the modem on Win XP, Win Vista, Win 7, Win 8/8.1, Mac 8. No power adapter, SIM tray or Battery Included. Tested for key functions-R2 Ready for Resale. We are always willing to help. We can wait longer if notified or we can cancel the order. Hours of operation: M-F 8:00AM-4:30PM. Connectivity: Optional Ready-to-Connect Sierra Wireless embedded SIM. System Drivers: Windows® 8, Windows® 8.1, Windows® 10, Linux Driver: Standard ECM, Android RIL. Firmware: Pre-certified firmware, Secure boot. UP TO 31 USERS. Wifi Up to 31 Users. 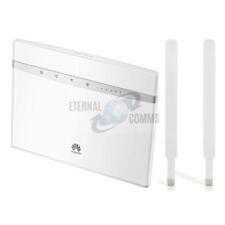 WiFi Booster Extender Kit Huawei 4G, 5573, antenna & accesories. Multiple devices can be connected to the E5573s such iPads, iPhones, android tablets & phones as well as PCs and Macs. Up to 10 devices can be be connected via wifi. While traveling, Nommi allows you to focus on the ‘travel’ part. Nommi acts as a wireless hotspot for all your devices in over 100 countries. Of course, if you already have your favorite data plan from a local operator, feel free to use your SIM. Skyroam Solis. 1 Year manufacturer Warranty through Skyroam itself. Imagine a travel experience without limits. Skyroam SOLIS. 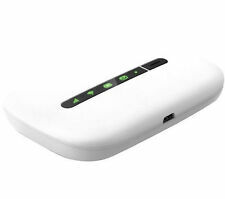 4G LTE Global WiFi Hotspot Power Bank (FREE Travel Case). - WiFi Hotspot and Power Bank. The unlocked HUAWEI K3760 would work with any WCDMA operators. Locked to the Vodafone network (no sim card/tariff included). Plug and Play with: Windows XP, Vista 7 and Mac.Full installation of software required for Windows 8 and later (software disc will be enclosed). BANDE CHIAVETTA Questo non è solo un modem USB 4G! L'accesso wireless è disponibile su reti 3G / 4G e Wi-Fi. 4G FDD(B1,B3,B7,B8,B20). Colore bianco con inserto rosso. Compatibile con win xp/win7/win10/mac/linux. HUAWEI e5573cs-322 WLAN 4G LTE 3G Mobile WiFi Wireless Hotspot Modem Router NEW. Condition is New. 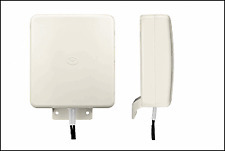 Frequency (4G) LTE FDD B1/B3/B5/B7/B8/B20 (800/850/900/1800/2100/2600 MHz). WiFi range 2.4GHz. Frequency (3G) UMTS 2100/900/850 MHz. SMS support. Language: multilanguage. OS: Windows 7, XP SP2/SP3, VISTA SP1/SP2, Windows 8, Windows 8.1, Windows 10 and MAC OS X 10.5, 10.6, 10.7, 10.8, Linux, Android, IOS. Panasonic Toughbook CF-18 / CF-19 CF-WEB184B Dock. 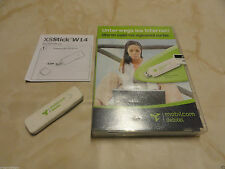 Panasonic Toughbook CF-18 / CF-19 CF-WEB184B Port Replicator Car Mounter. Original Panasonic Port Replicator Car Mounter. - 1 x Kopfhörer/Lautsprecher. Skyroam WiFi Wherever You Travel . - You are buying a Skyroam Device that 100% USED and REFURBISH. - Every single Skyroam devices that you are buying are tested and it is working 100%. 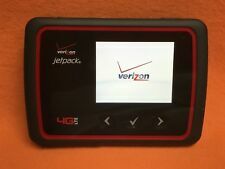 - Skyroam Hotspot with Virtual SIM. Huawei B310 is a new 4G LTE CPE with LTE Category 4 technology. With theLTE CPE B310, the brother modelHuawei B315 LTE CPE is also presented. Huawei LTE CPE B310 Technical Specifications -Huawei B310s-22 : LTE FDD Band 1/3/7/8/20 (800/900/1800/2100/2600MHz). DOES SHOW VERY LIGHT SIGN OF WEAR. ITEM IN GOOD PHYSICAL CONDITION. 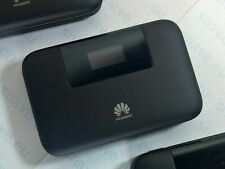 Huawei R216 4G LTE Mi-Fi Device. Simple to set up and use, the R216 gives you the internet in your pocket for any wireless devices you have near you. It is not necessary to connect the device by cable to a computer. 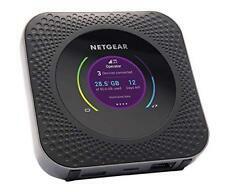 • Netgear AC791L Verizon Wireless. • Charging Adapter & USB Charging Cable. SIM card not included. NOT included. Skyroam WiFi Wherever You Travel . - Skyroam Hotspot with Virtual SIM. Skyroam is the easiest way to stay connected, globally! Your Global WiFi HotSpot. UNLIMITED GLOBAL WIFI IN YOUR HANDS. Imagine a travel experience without limits. LTE TECHNOLOGY! ask your operator about LTE Technology in your area. for Huawei B593 or other one with two external antenna sockets. MULTIBAND DIRECTIONAL ANTENNA. This is a panel antenna made ​​in microstrip technology. Tested Works Perfectly. Explorer 700 gives you access to EXPLORER 700 provides access to the highest bandwidth available via BGAN, thereby facilitating a platform for a wide range of applications with need of high performance. Contains moderate wear marks overall, such as scratches/scuffs. You will be given all choices during checkout. 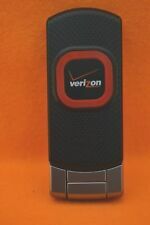 Q: Are Verizon devices unlocked?. A: Most 4G LTE Verizon devices are GSM factory unlocked, but not all. LTE Antenne , 4G MiMo Inkl. Befestigungshalter für Wand- und Mastmontage Frequenzbereich : 800 MHz Empfangsstärke: 9 dbi Gewinn Kabellänge: 5m Abmaße: 210 x 195 x 50 mm Max. Built-in LTE / UMTS high gain antenna. 4G: LTE FDD CA 2600/1800/800 MHz. Supports up to 32 devices via Wi-Fi and 2 devices via Ethernet interface. SIM Lock released for usage with any 3G / 4G network worldwide. Simplicity itself to set up and use, the E5573 gives you the internet in your pocket for any wireless devices you have near you. It is not necessary to connect the device by cable to a computer. There is no software to install.